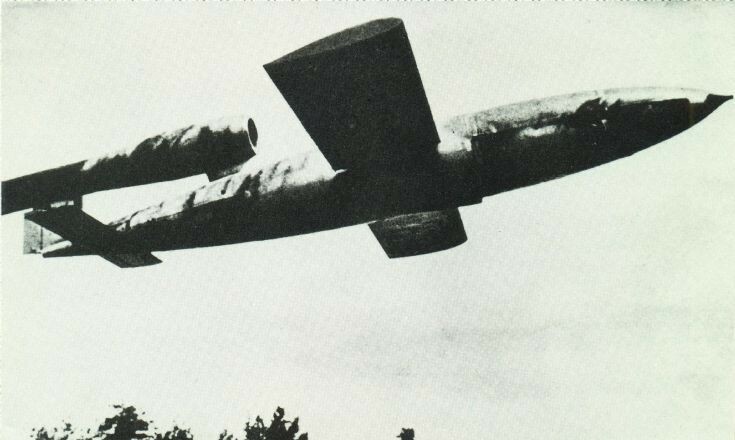 This is a picture of an active V1 Flying bomb, perhaps more commonly known as a doodlebug. The relic posted in picture #1356 seems to be a major part of the pulse jet engine fitted on top of the craft. A map was produced which shows where the flying bombs fell in Mid and East Sussex during the latter part of 1944 when they were being launched from northern France. They numbered 755, but hundreds more were brought down in the sea. It is interesting to note that the first flying bomb to land in Great Britain was just south of Balcombe. I see that Warninglid is marked as receiving a visit from a doodlebug. Please does anyone have more details on this? To view the rather primitive map click on Open Document.